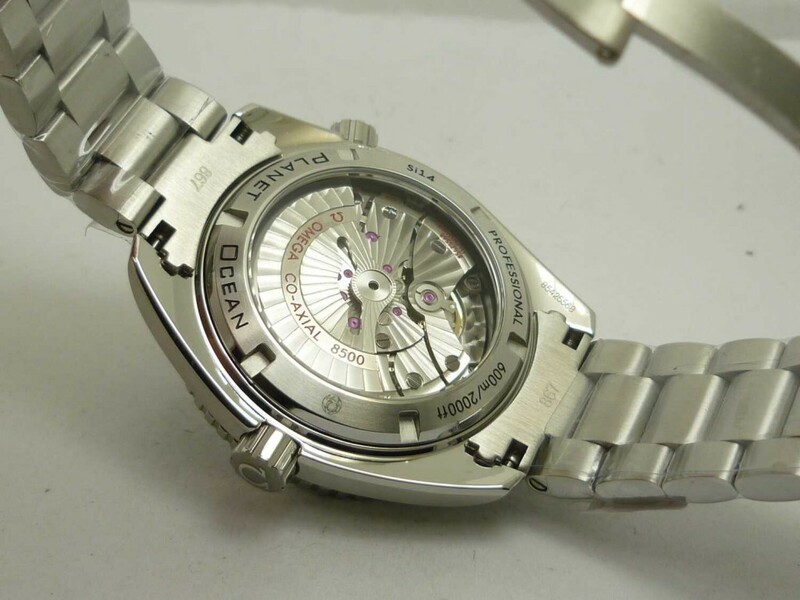 Planet Ocean is one of the best Omega watches sold online. 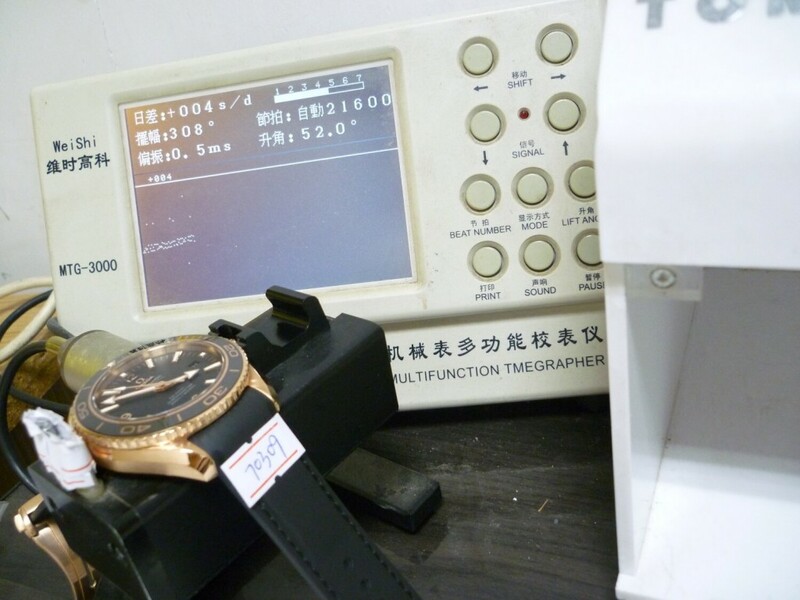 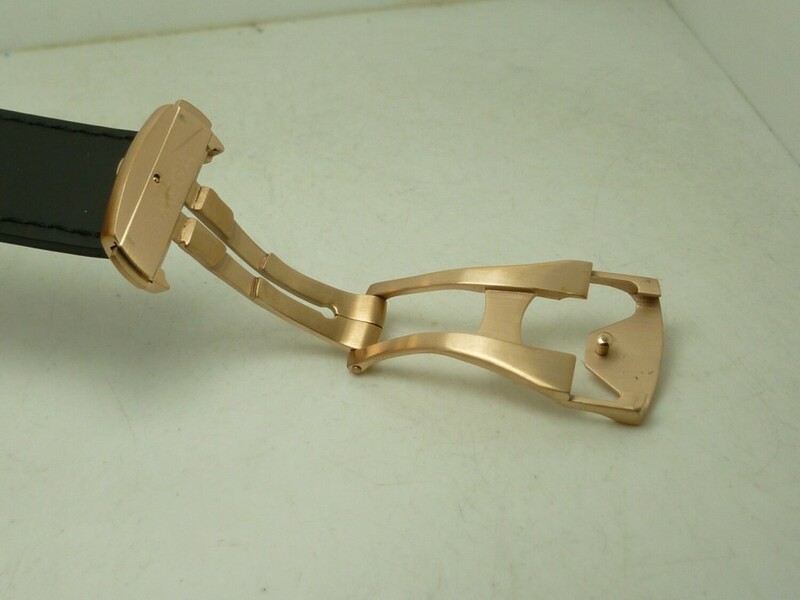 The replica is also pursued by many buyers, especially there are many big factories such as Noob and BP manufacturing it and updates improved versions. 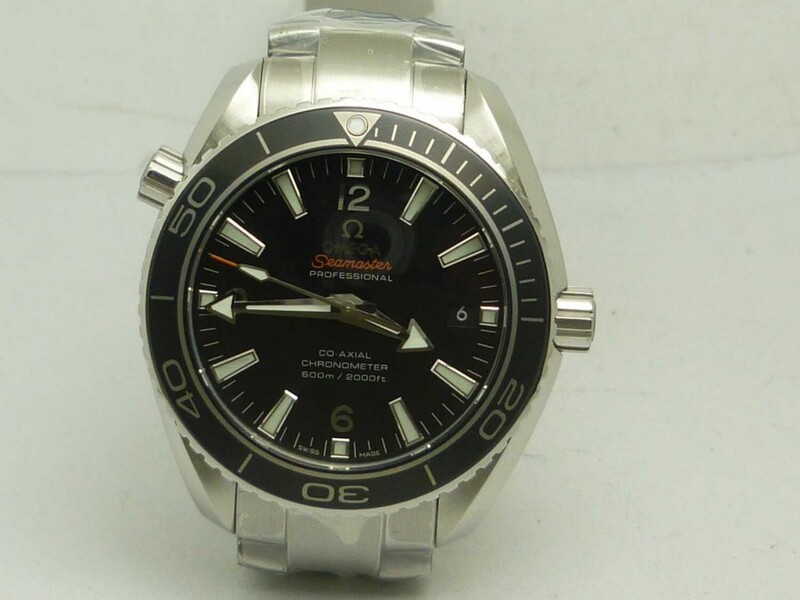 The Omega Planet Ocean replica is made of solid 316 stainless steel on case and bracelet, so the watch feels very heavy when holding on hand. 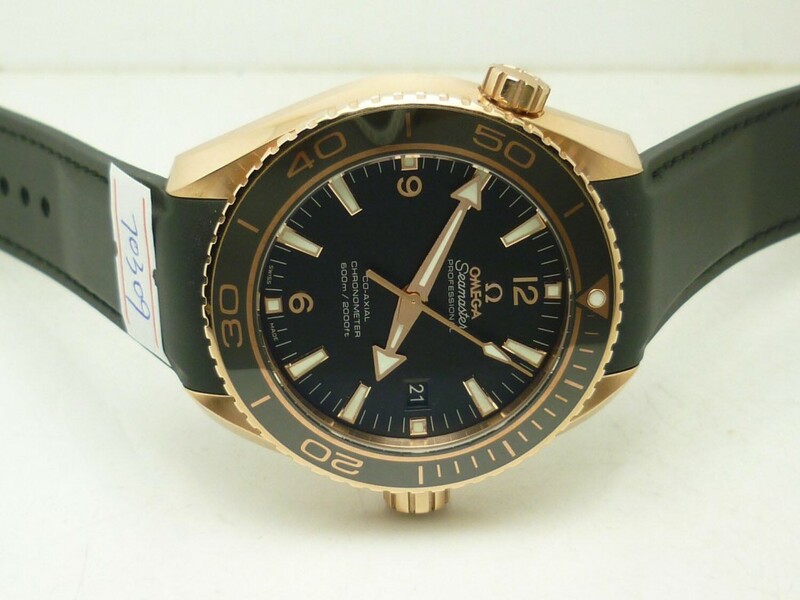 Although not better than those Omega Planet Ocean replicas that are sold around $400 US Dollars, this one could completely meet your need. 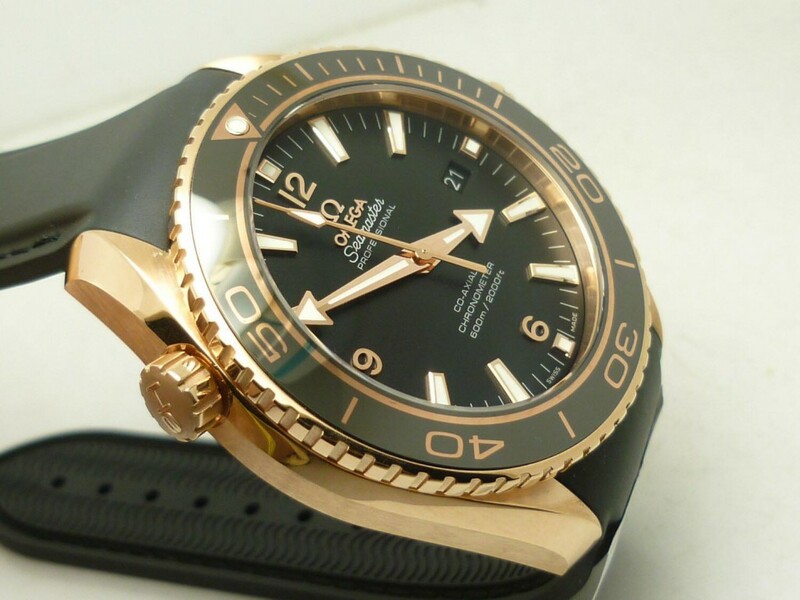 It is made with a genuine Omega that is completely dissected and will be the best ultimate replica Planet Ocean in 42mm, which is called 1:1 replica. 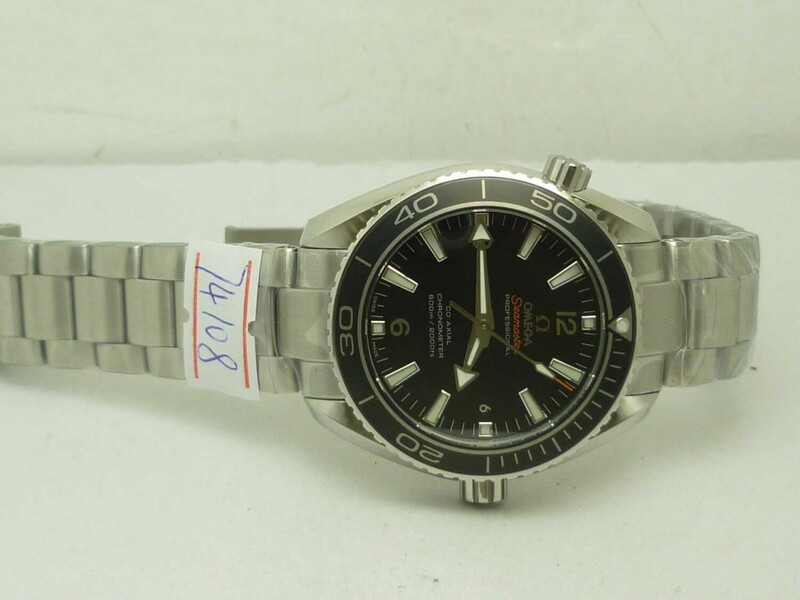 There are details on dial and bezel made very well, correct Omega logo with no happy feet, black dial with embossed steel 6-9-12 numeral hour markers, the Omega logo is made correct compared with other versions that were published before. 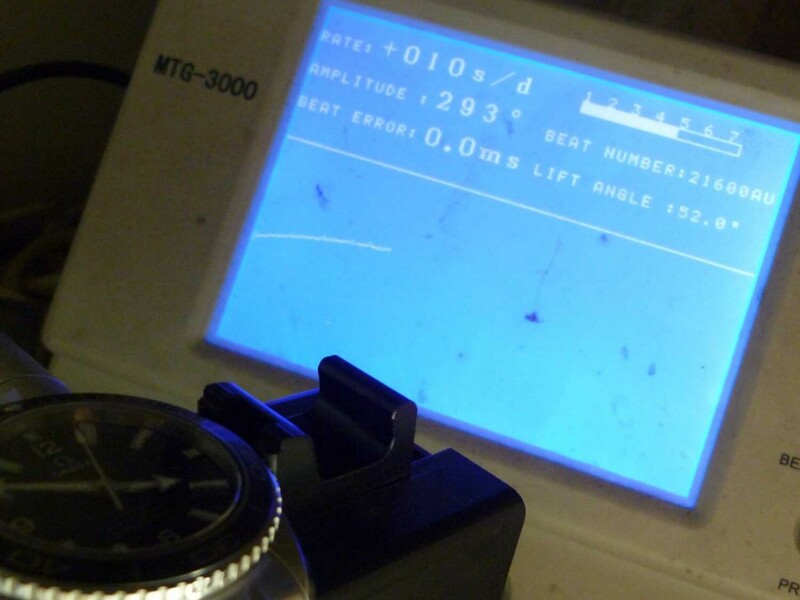 The dial also presents two different superlume, blue on hour markers and hour hand, green superlume on bezel and minute hand. 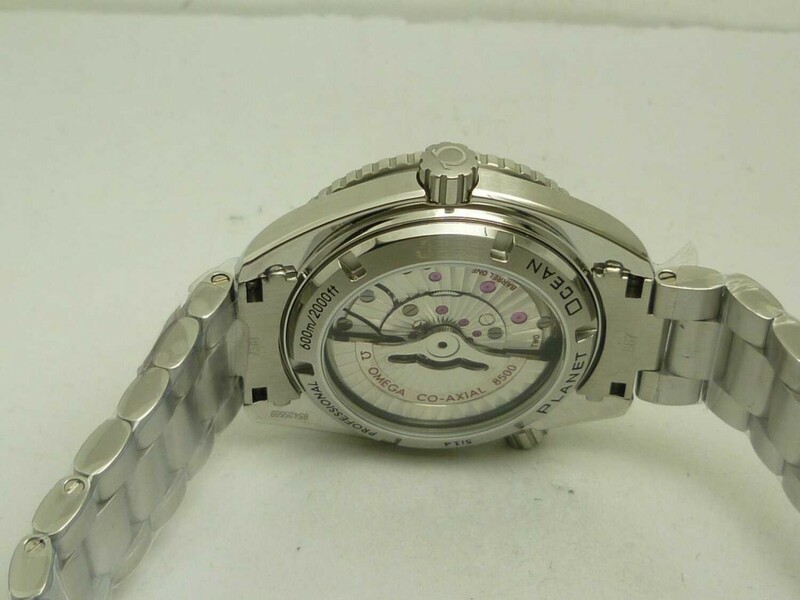 The pearl on the bezel also glow green light in the dark. 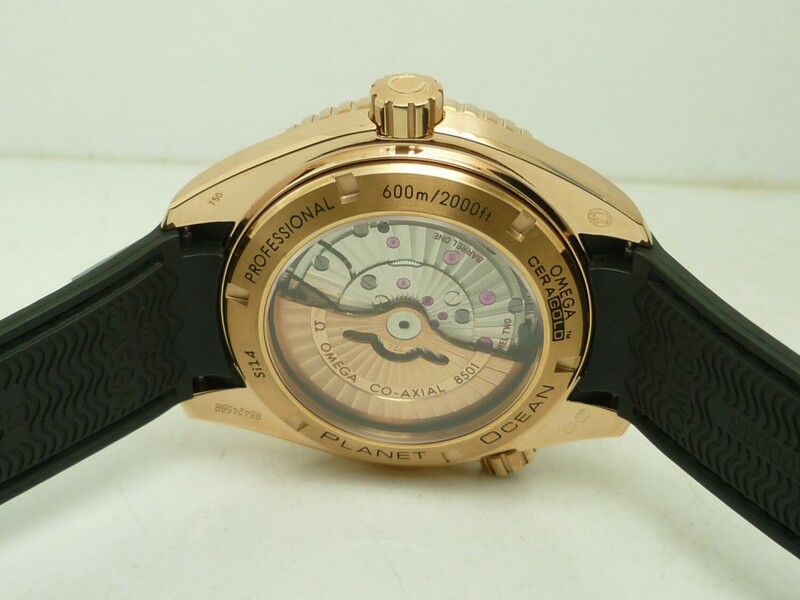 The front glass uses Swiss grade sapphire crystal, which features AR coating like the genuine, the AR coating has correct purple hue, it is the highest clarity sapphire crystal that has ever used on replica watches. 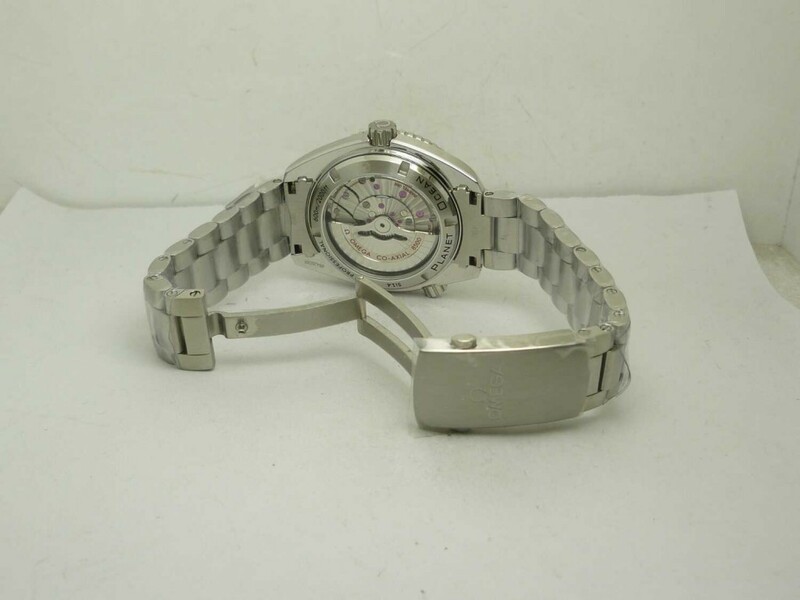 The crystal case back helps you to identify the quality level of the replica watch by viewing its movement, which is clone Omega 8500 Calibre, the movement is replicated on the basis of Miyota 8205 automatic, which is 21 jeweled and beats at 21600 times per hour. 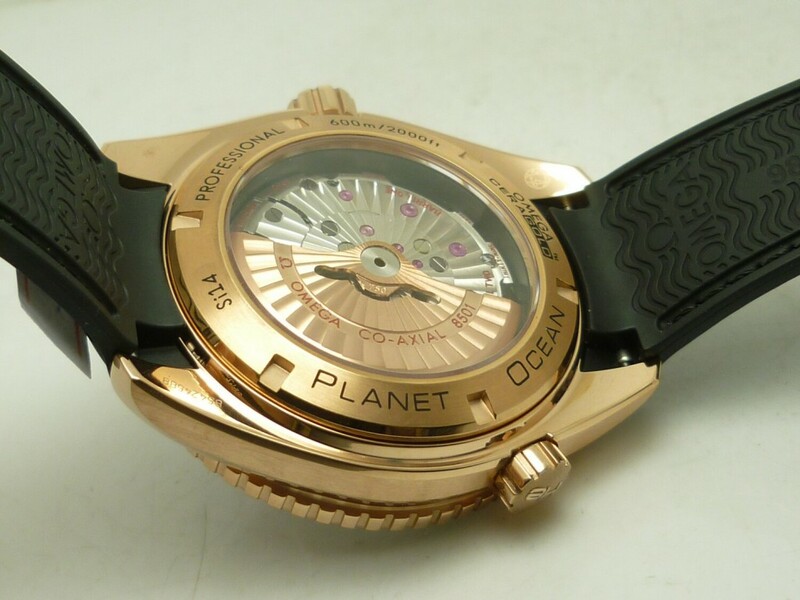 Now the 42mm Omega Planet Ocean replica has been updated by factories for several times, it has several higher versions, but the price also goes higher.